Volunteers are integral to our organization. We love our volunteers from around the world! Everyone brings a unique set of skills. We need volunteers who can come to Okurase and work on our programs as well as volunteers who can help us from where they are with marketing, technology, fundraising and many other activities that keep us busy everyday. 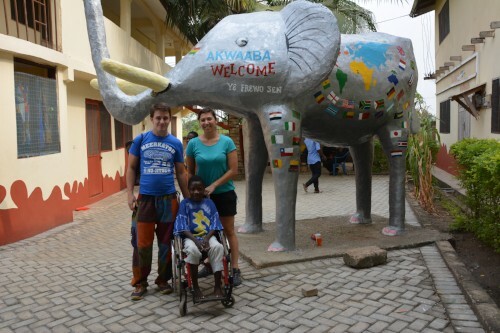 We are so glad that David and Tanya Lindsay found Project OKURASE and came to volunteer in Okurase. They helped in so many ways with music, technology, education and the children. The people of Okurase, especially the children, will talk about you forever and one boy in particular, Kingsford, (and his family) has a very changed life and life trajectory. You are incredibly special people and we can't thank you enough for your time in Okurase. Click here to learn about what other volunteers have done. If you are interested in volunteering, please fill out and submit the form below.